Next week, I’ll be headed to northern Italy’s Alto Adige region, famous for its Pinot Grigio and pork products. A few days ago, what should appear at our tasting table during our grueling (ha!) Tasting Tuesday than a lineup of wines from Abbazia di Novacella, a great producer from this area. 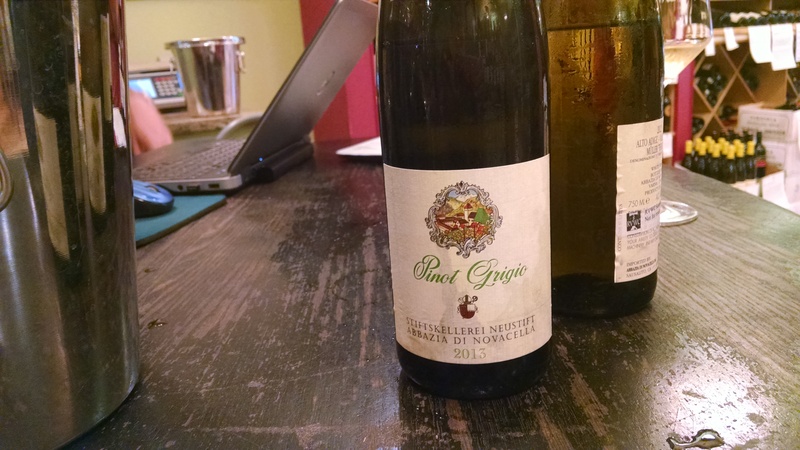 The Pinot Grigio was of course on point, but for me it was all about KERNER. 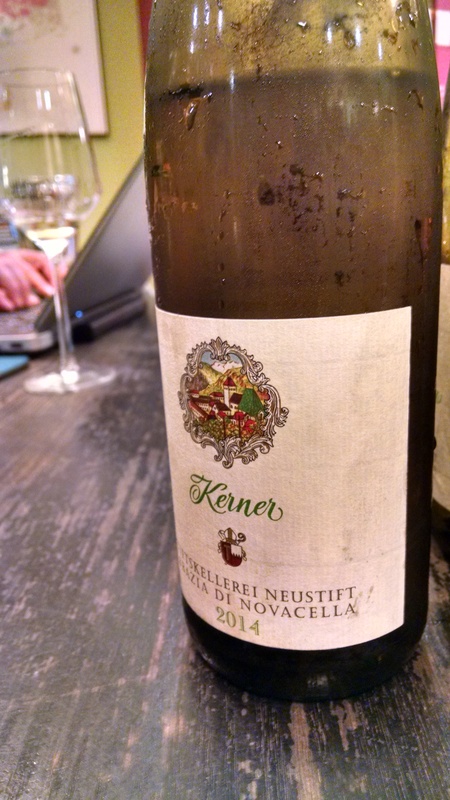 Kerner is a cross between Schiava, the light-bodied red grape of this region, and Riesling. 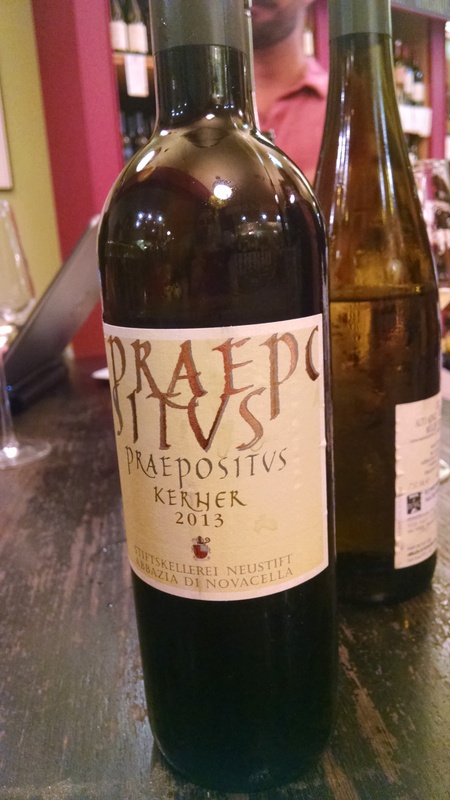 It’s exactly the kind of white wine I love – lots of bright, juicy acidity, and lots of aroma and personality. To me, the aromas and flavors are a bit like Ranier cherries and peaches. I bet these will taste even better in their homeland!